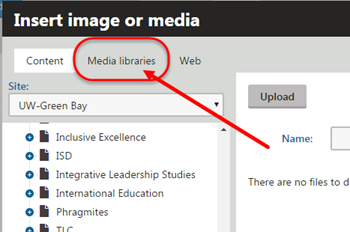 This article will assist you in modifying the size of your Media Library images. 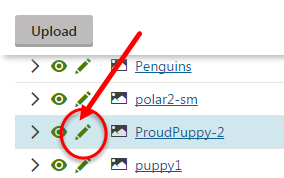 "Insert Image" This feature will allow you to manipulate the size of the image. You can re-size according your needs. 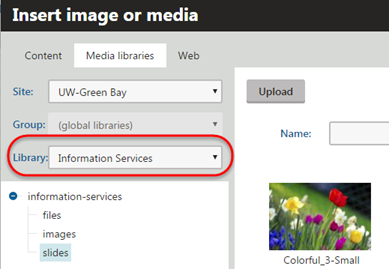 Use a Widget to include images on your page whenever possible. 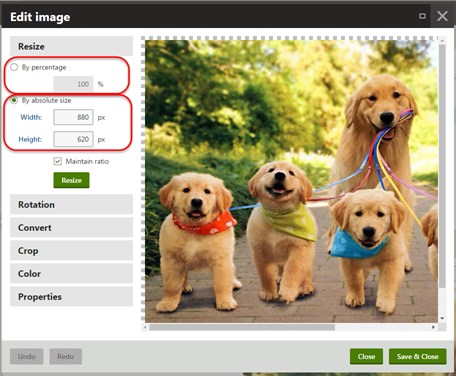 The widget container will automatically control the size of the image rendered on the screen. Re-size the image either 'By Percentage' or 'By absolute size'. 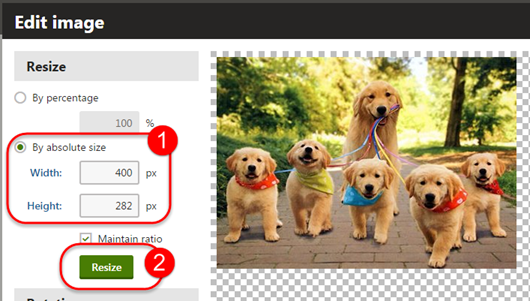 In this example the Width has been changed to 400 px. (the Height will auto-update.) Click on the "Resize" button. Click on .